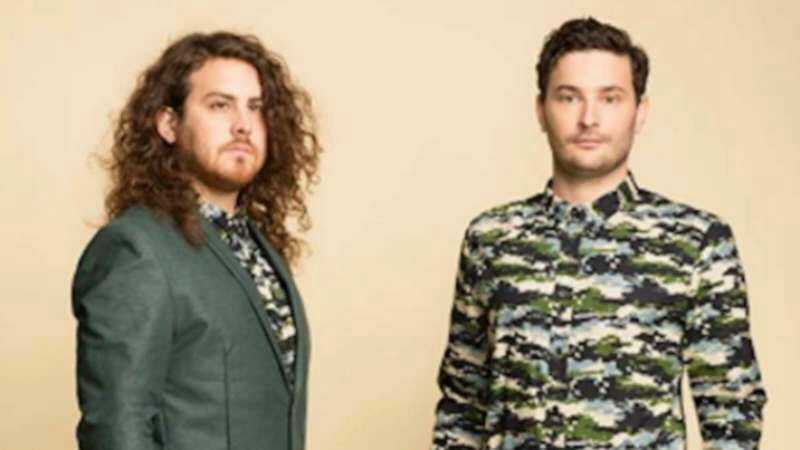 After years spent named after the nonexistent son of a famous race car driver who himself is already the son of yet another famous driver, the band Dale Earnhardt Jr. Jr. has decided to change its name. According to a post on its website, the group will now be known as JR JR, with its two members claiming they’ve grown out of the gimmicky moniker. With a new album on the way in the semi-near future, the move could be a smart one. Then again, changing a band’s name midway through its career might also be confusing to its already existing fans. In its Facebook post, the group makes it clear that the name change has nothing to do with the actual Dale Earnhardt Jr., choosing to include a letter he sent them in 2011 where he says he’s not only cool with their name, but actually enjoys their music. The text of that letter, plus the rest of the group’s post, is below. First off let me say that it’s pretty cool to hear from you. I was made aware of your work through some friends as you have become more popular over the last year. Even Jimmy Johnson, a fellow driver and teammate sent me a link wondering if I had come across your music. I was not quite sure what had prompted you to choose the name Dale Earnhardt Jr, Jr…..but I thought it was clever and I personally have no problem with your band’s name. You will not hear from any lawyers on our end should you choose to keep the name. At this time I’m under the impression you wish to change the name (per you manager). But in all honesty, who wouldn’t be flattered? I certainly don’t see it as mockery or anything of that sort. And your letter further states your intentions as being nothing but the best. I have listened to some of your work and do enjoy it. I wish you all the best in the future, and you have gained a fan here. The above message was one we received in 2011 from Dale the driver himself, and well… a lot has happened since then. The note you see at the beginning of this email is what we received after we were able to get our message to him about our intentions. The exceptionally good natured spirit of the man himself lifted everyone’s spirits about the name. We were proud to keep it, and create under it. To this day, Dale Earnhardt Jr has been nothing but gracious and cool about things. And y’know…he didn’t have to be. It was perfectly within his right to look at these two weird kids from Detroit and say ’no way’, or to just have an intermediary shut things down on his behalf. But he didn’t. He was a legitimately warm human being about it all. He was kind. A couple of times when asked about us, he even mentioned that he likes the music we make. This, we thought, was the best case scenario.